David Luiz is challenged by Gaetan Bong of Brighton and Hove Albion during the Premier League match between Chelsea FC and Brighton & Hove Albion at Stamford Bridge on April 03, 2019 in London. Stamford Bridge witnessed something Wednesday night that hasn’t often been seen from Chelsea this season; a comfortable 3-0 win over Brighton and Hove Albion in a match that was essentially finished just after the hour mark. Olivier Giroud’s first half opening goal was followed by second half goals from Eden Hazard and Ruben Loftus-Cheek to help Chelsea stay within touching distance of fourth place. Stamford Bridge’s atmosphere was far less hostile against Brighton as Maurizio Sarri gave a first Premier League start to Callum Hudson-Odoi and rare Premier League starts for Loftus-Cheek and Giroud, changes that some have said were needed due to lack of form from other members of the squad. But while the team selection seemed a bit more dynamic, the opening half an hour seemed like more of the same from Chelsea, particularly when facing opponents who were set up to sit deep and absorb pressure. Brighton were never coming to Stamford Bridge to play expansive football, and for the first hour, Chelsea seemed to fall in the same pattern of keeping the ball but not really testing Mathew Ryan in Brighton’s net. 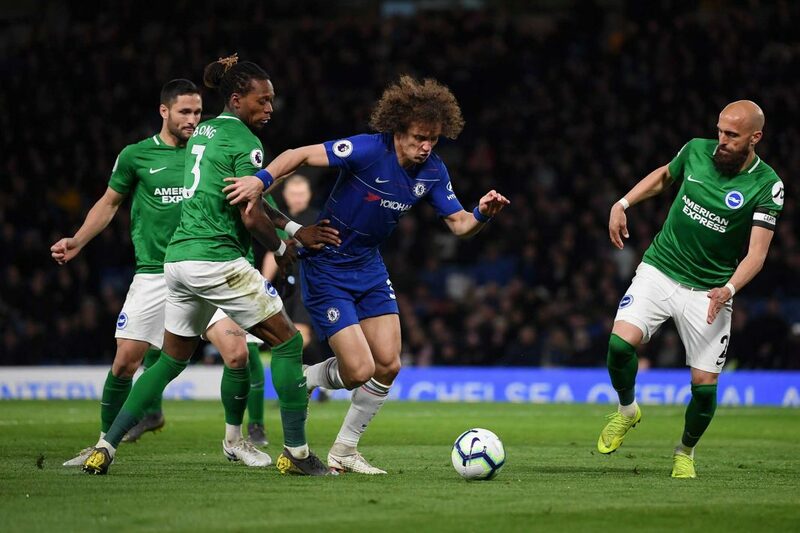 Brighton could have taken the lead, though, when Yves Bissouma bamboozled his way past Hudson-Odoi and Cesar Azpilicueta, only to see Shane Duffy scuff his sliding toe poke wide of the goal and lacking enough pace for Emerson to clear. But Hudson-Odoi played with freedom, albeit shadowed by the duo of Gaetan Bong and Solly March. It was when March limped off with a calf problem and was replaced by Anthony Knockaert that Hudson-Odoi finally found some freedom. In the 38th minute, Hudson-Odoi finally found himself isolated against Bong, and he duly beat the defender to the byline before sliding a near post cross for Giroud to stab into the roof of the net for Chelsea’s opener. For once this season, Chelsea actually started the second half with a similar intensity that was on display in the first half. Hazard once again showed that he can be unplayable when he collected a pass from Loftus-Cheek just outside the area, sent Lewis Dunk sliding across the floor with a little shift of the ball, and just simply side-footed the ball around a helpless Ryan in the Brighton net to double Chelsea’s lead. Loftus-Cheek almost replicated Hazard’s goal just three minutes later when he collected a pass from Hazard 25 yards out from goal and curled a side-footed effort into the top corner that left Ryan reaching for air. The rest of the match seemed like a training exercise, and despite all the turmoil remain just one point outside of the top four.